Rebecca Wyatt graduated in 2010 from the University of Plymouth with a BSc Honours degree in Physiotherapy. She has previously worked within the NHS in Orthopaedics and Trauma and also alongside the Riding for the Disabled Association. This role involved working with children of various disabilities to help improve strength and function through as well as their overall well being with the use of ponies and a mechanical horse. 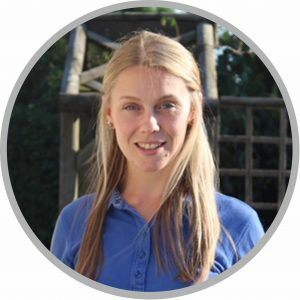 Rebecca has been a part of the Lilliput Health physiotherapy team since 2012 and is based full time at our main clinic in Poole. She takes pride in delivering a professional service to her patients ensuring they all receive expert care and advice. Outside of Physiotherapy Rebecca rides horses in various disciplines, plays in local netball leagues and has previously participated in ballet, dance and athletics. Drawing on her knowledge from these various pursuits she appreciates the need to be pain-free and in optimal condition to be able to get the most out of your sports and hobbies. Rebecca has completed post graduate training in Pilates which she often incorporates into her treatment sessions alongside manual and soft tissue therapy techniques and exercise rehabilitation. She is always looking for ways to further her skills as a practitioner which in turn can be applied through her Physiotherapy treatment sessions.